Avobenzone (3.0%), Octinoxate (7.5%). Other ingredients: Water/Aqua/Eau, Butylene Glycol, C12-15 Alkyl Benzoate, Carthamus Tinctorius (Safflower) Oleosomes, Cyclopentasiloxane, Aluminum Starch Octenylsuccinate, Cetearyl Phosphate, Polyglyceryl-2 Stearate, Dimethyl Capramide, VP/Eicosene Copolymer, Artemisia Pallens Flower Oil, Cananga Odorata Flower Oil, Citrus Aurantium Dulcis (Orange) Peel Oil, Citrus Paradisi (Grapefruit) Peel Oil, Pelargonium Graveolens Flower Oil, Tagetes Minuta Flower Oil, Sodium Hyaluronate, Dipotassium Glycyrrhizate, Caprylic/Capric Glycerides, Arachidyl Alcohol, Behenyl Alcohol, Arachidyl Glucoside, Acrylates/C10-30 Alkyl Acrylate Crosspolymer, Xanthan Gum, Disodium EDTA, Sodium Hydroxide, Ethylhexylglycerin, Phenoxyethanol. 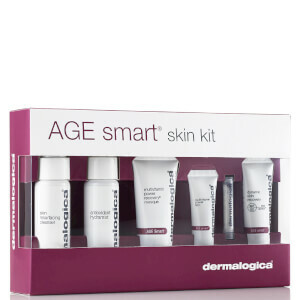 Dermalogica is dedicated to maintaining the accuracy of the ingredient lists on this website. However, because ingredients are subject to change, we cannot guarantee that these lists are complete, up-to-date and/or error-free. For an accurate listing of ingredients in each product, please refer to your product packaging.